Over the past few years we have seen a huge growth in the number of people seeking Plastic Surgery as the misconceptions have broken down. The common notion that Plastic Surgery is only for the elite is, of course, quite untrue. Most of my patients are everyday people wanting to improve their self-confidence, change something that has always embarrassed them, or they simply want to obtain a more youthful appearance to reflect how they feel inside. Although there is a wealth of information in magazines and on the Internet, it can be difficult for you to know what is relevant or appropriate to you. A consultation will help you put this information into perspective and decide what you might want and what you might expect. Every patient’s needs differ, so I pride myself in providing a full range of techniques at the cutting edge of Plastic Surgery. New techniques are continuously being developed with better outcomes and shorter recovery times. My practice is not a production line. I will take the time to fully evaluate your needs, so you can be confident before taking the step towards surgery. With my background in Craniofacial Surgery, I have naturally gravitated to facial aesthetic surgery, although I continue to enjoy body contouring and aesthetic breast surgery. Over the past few years I have been in increasing demand as an expert in both primary and revision Rhinoplasty. My website dedicated to these procedures can be found at www.rhinoplastyauckland.co.nz. Ear surgery is also an area of special interest and I regularly perform both cosmetic ear reshaping procedures for prominent ears and reconstructive procedures for ears that are missing at birth or have been lost to trauma or cancers. Further information on these procedures can be found at www.earsurgery.co.nz. Cosmetic eyelid procedures, facelifting, necklifting and brow procedures continue to be refined with more natural results and shorter recovery times. I have been most impressed with the results we have been achieving with volume restoration of the face using fillers, implants and, in particular, fat injection. In some cases the need for a lifting procedure can be supplanted by volume restoration alone. Breast implant surgery remains a popular procedure. The modern silicone, and now polyurethane implants, are giving fantastic natural results. Body contouring, such as tummy tucks after childbirth or weight loss, and liposuction can be transformational, allowing you to wear properly fitting clothing, exercise more freely and giving increased confidence. I have also enjoyed performing some of the less common procedures, such as arm lifts and calf implants. I am also a reconstructive surgeon and continue to perform many procedures to reconstruct the face and body after disfigurement from skin cancers, accidents and burns. The skill set required to deal with the most challenging reconstructive procedures is directly transferrable to Cosmetic Surgery. It is no surprise that the world’s top Cosmetic Surgeons are also the world’s leading Reconstructive Surgeons. 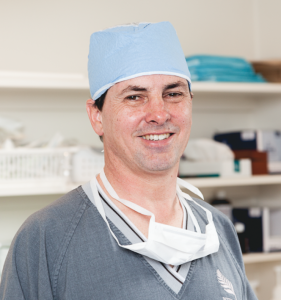 A graduate of the Auckland School of Medicine, Mr Bartlett trained in Plastic and Reconstructive Surgery in the 1990s at Auckland’s Middlemore Hospital, Burwood Hospital in Christchurch, and at NZIPCS. He passed the Royal Australasian College of Surgeons Examination in Plastic and Reconstructive Surgery in 1997. In the late 90s he sought higher training and experience at the Royal Children’s Hospital in Melbourne, Australia, where he pursued interests in Craniofacial Surgery, Pediatric (children’s) Plastic Surgery and Cosmetic Surgery. 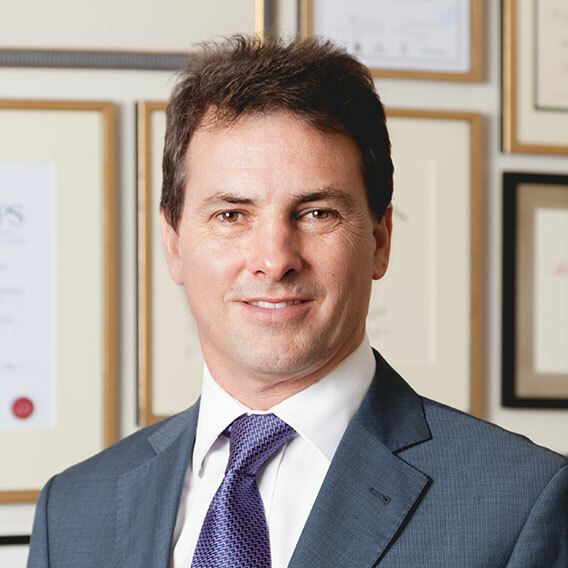 Mr Bartlett now divides his time between his private practice at The New Zealand Institute of Plastic and Cosmetic Surgery and his public practice at Middlemore and Starship Hospitals. In the public hospital he concentrates on children’s birth deformities such as Cleft Lip and Palate, Ear Anomalies and other rare Craniofacial Anomalies such as craniosynostosis . 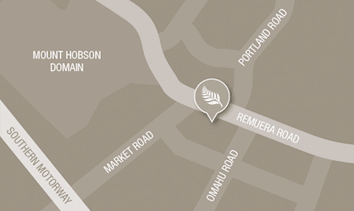 The New Zealand Foundation for Cosmetic Plastic Surgery. The New Zealand Association of Plastic Surgeons. The Australasian Society of Aesthetic Surgeons. The Australian Society of Craniomaxillofacial Surgeons. He has served on the executive of the New Zealand Association of Plastic Surgeons and the New Zealand foundation for Cosmetic Plastic Surgery. He is the current President of the Australia and New Zealand society of Craniomaxillofacial Surgeons. He is an examiner in Plastic Surgery for the Royal Australasian College of Surgeons. He is actively involved in the training of registrars, and has run numerous workshops in microsurgery. Glenn has written and presented academic papers on a wide range of topics in Plastic and Cosmetic Surgery. He is a regular participant in surgical aid programmes to the South Pacific and his work with unfortunate children has been the subject of several television programmes such as baby Keegan and baby Charlotte. Mr Bartlett is a regular visitor to local and international meetings, keeping him at the forefront of developments in both Plastic and Cosmetic Surgery. “Fantastic, all my fears were removed and it was a good experience with great outcome. Great service throughout. Whole experience 100%. Whole experience very relaxing yet professional – would recommend Glenn and use again. “I came to the decision to undergo rhinoplasty after wanting it for nine years. However, the process of selecting a surgeon and concerns about the recovery filled me with anxiety. I discovered Glenn Bartlett as a result of my own research and could not have been happier with my choice. My recovery was relatively painless and stress-free. The 243 Surgery Centre provided constant support and care throughout this process. When the bandages were removed, the result was even more natural-looking than I had imagined. In the numerous compliments I have received, people have not been able to pinpoint the change that improved my appearance. I credit Glenn’s meticulous surgical skill and well-practised aesthetic eye for achieving a nose that looks like one I was always meant to have.